Contact: Karam Bassi or First Data at 1-888-265-4117 to get Chamber Exclusive preferred rates. UPS offers Chamber members some of the most competitive rates available on shipping services. You can receive 30% off or even more as a Chamber member. It’s free to sign up and applies to current UPS users as well as new accounts. There are no minimum requirements. Each payroll run is only $15.60 for a basic run, $1.32 per Direct Deposit, and a one-time fee of $200 — special Chamber-member pricing only. Kubera plus BluePay will help you reduce costs and improve cashflow with the widest range of processing partners and POS integration options available. 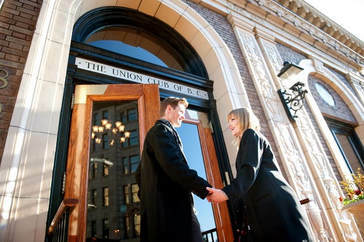 ​The Union Club offers a special $500 membership rate to Chamber Members (discounted from the regular rate of $1,500). Before issuing your first Certificate of Origin, businesses are required to obtain a notarized letter of waiver from a lawyer or a notary public certifying from a person’s sworn statement that the facts described in her/ his signed documents are true.